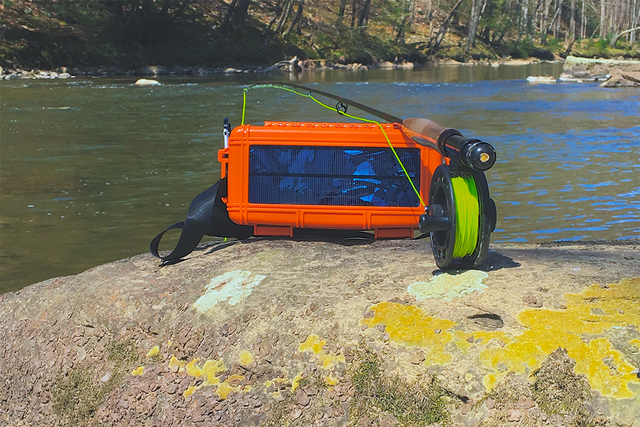 Dryboxes may be designed to keep your gear out of the water, but one company is now using them to harvest the power of the sun. 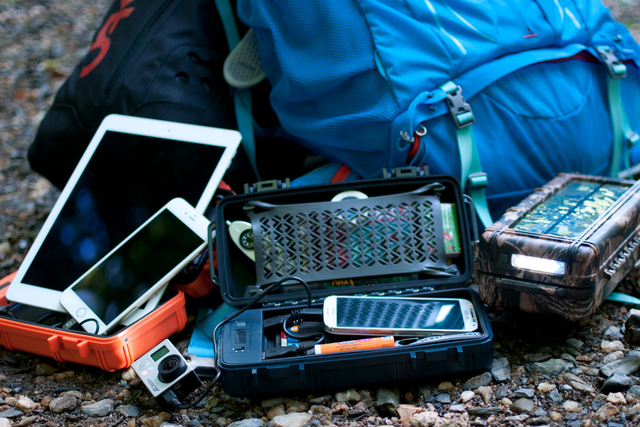 The RokPak Pioneer is a a four-in-one drybox, solar panel, charger, and flashlight and thanks to Indiegogo, the concept will soon find it’s way into the boats, paddleboards, and backpacks of early supporters. The top panel of the RokPak has a built-in solar panel, while USB ports on the inside can charge up to two devices simultaneously, from smartphones and cameras to even tablets if you can risk leaving the dry box popped open for awhile. 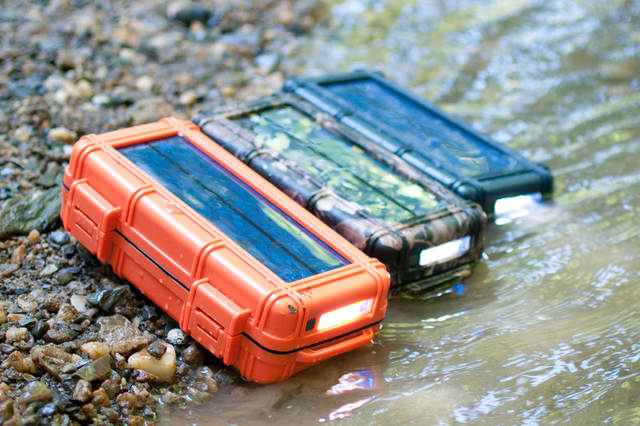 The RokPak uses a 12,000mAh lithium-ion battery with a built-in protection circuit model to prevent overcharging. While the group’s initial goal was to create an all-in-one that saves space, the RokPak also solves another challenge of using a drybox for your phone — hearing the ring. The built-in flashlight will blink when the phone rings or receives a notification. Tapping the flashlight’s power button will allow users to ignore the call. 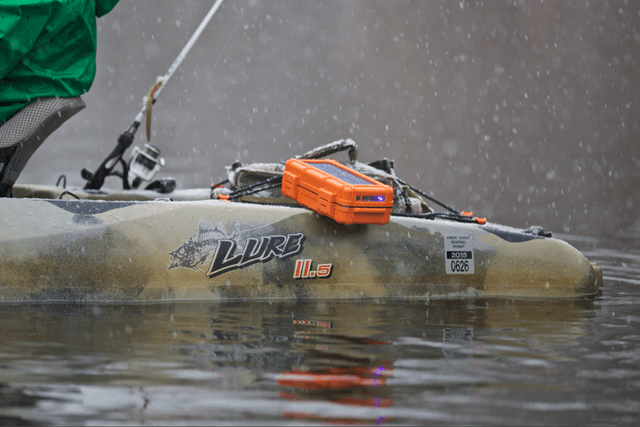 The flashlight also doubles as an SOS light, automatically firing when it hits water so finding the dry box is easier (the feature can be also disabled for outdoors enthusiasts who are aiming to be a bit more stealthy, like hunters). The box is tested to remain floating for at least a half hour without leaks. The RokPak is also drop-tested to the military standard 810G, and has also been tested in temperatures of up to 176 degrees Fahrenheit and down to 4 degrees below zero. On the inside, a second LED light helps users to find their gear, while removable netting helps keep multiple gadgets from bouncing around, and silicone acts as a cushion for drops. Founder and avid outdoorsman Tim Svitak Jr. designed the RokPak after finding others shared the same frustration with dead batteries mid-adventure. 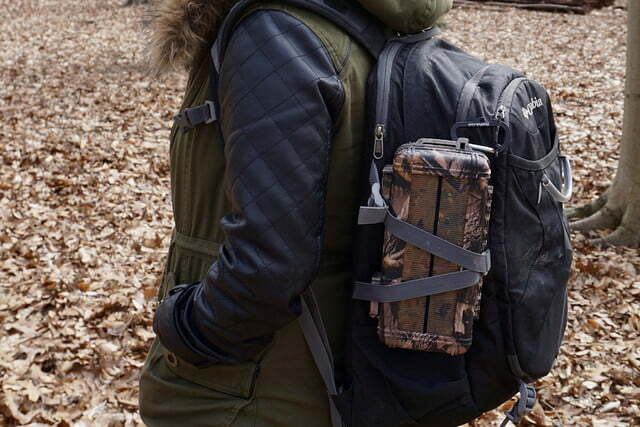 Svitak and the RokPak team turned to Indiegogo to fund production, and to date have achieved nearly double their goal, with the first RokPaks expected to ship by the end of the month. Backers can still join the campaign and pick up a RokPak for a $179 pledge, which is $50 off what the RokPak is expected to list for when it hits the retail market.